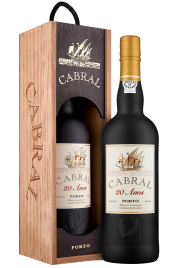 Developed from the traditional grapes of the Douro region. This port is from an excellent vintage. Its color is dark ruby red. The nose features complex aromas of berries, blackcurrants, raspberries and wild blackberries. Fleshy with melt-in-the-mouth tannins. Excellent with chocolate desserts, pies with berries, strawberries or raspberries.